Pop artist who, as a teenager, sang many hit songs while competing on The X Factor, including Cyndi Lauper's "Time After Time." She acted in a Teddy Grams commercial at age nine. She finished ninth on The X Factor and was mentored by Britney Spears. Her family adopted twin sisters from Vietnam. 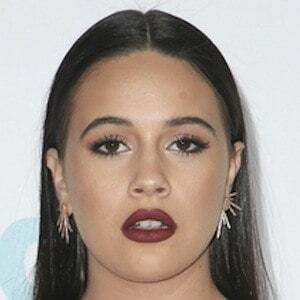 She dated pop star Jacob Whitesides from 2015 to 2016. She did voice acting with Tom Hanks in the animated film Toy Story 3.